OSHA has given companies a two-week grace period to submit electronically injury and illness reports. OSHA has extended the deadline for employers to electronically report injury and illness data through the Injury Tracking Application (ITA) to Dec. 31, 2017. The deadline had been Dec. 15. OSHA will continue to accept Form 300A through the ITA until 11:59 p.m. Dec. 31. 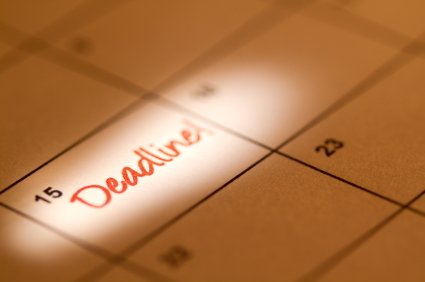 OSHA won’t take enforcement action against those employers who submit their reports after the Dec. 15 deadline but by Dec. 31, the final entry date. Starting Jan. 1, 2018, the ITA will no longer accept the 2016 data. Under OSHA’s rule, Improve Tracking of Workplace Injuries and Illnesses, all facilities with 250 or more employees in industries covered by the existing OSHA recordkeeping regulation must electronically submit to OSHA injury and illness information from Form 300, 300A and 301. Facilities with 20-249 employees in certain industries must electronically submit information from Form 300A only. Unless an employer is under federal jurisdiction, the following State Plans haven’t yet adopted the requirement to submit injury reports electronically: California, Maryland, Minnesota, South Carolina, Utah, Washington and Wyoming. OSHA is reviewing its final rule and intends to publish a notice of proposed rulemaking to reconsider, revise or remove portions of the rule in 2018.